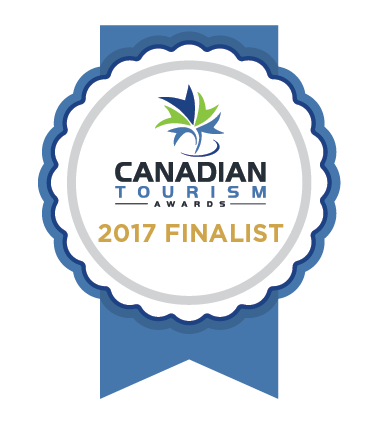 (Charlottetown, PE – September 25, 2017) The PEI Fall Flavours Festival has recently been named as a finalist for the Culinary Tourism Experience Award as part of the 2017 Canadian Tourism Awards. The winner will be announced in Gatineau, Quebec on November 29th. The PEI Fall Flavours Festival is now underway in communities across Prince Edward Island until October 1, 2017. The festival is a showcase for Prince Edward Island ingredients including beef, oysters, mussels, lobsters and potatoes and features over 40 events hosted by celebrity and local chefs. With only one week left, the festival anticipates a record year for sales. The Canadian Tourism Awards are presented annually by TIAC and the Toronto Star to recognize success, leadership, and innovation in Canada’s tourism industry, and to reward those people, places, organizations, and events that have gone above and beyond to offer travellers superior tourism experiences in Canada. The Canadian Tourism Awards have become the standard of excellence for businesses and organizations in the travel industry, showcasing the nation’s best tourism products, services, and experiences.